Ever since I can remember I have always had a Christmas stocking that I would hang at the end of my bed on Christmas Eve and wait for Father Christmas to come and fill it with presents. For years our stockings served as a way to keep my brother and I entertained until we were allowed to wake our parents up and go downstairs to open the presents under the tree. 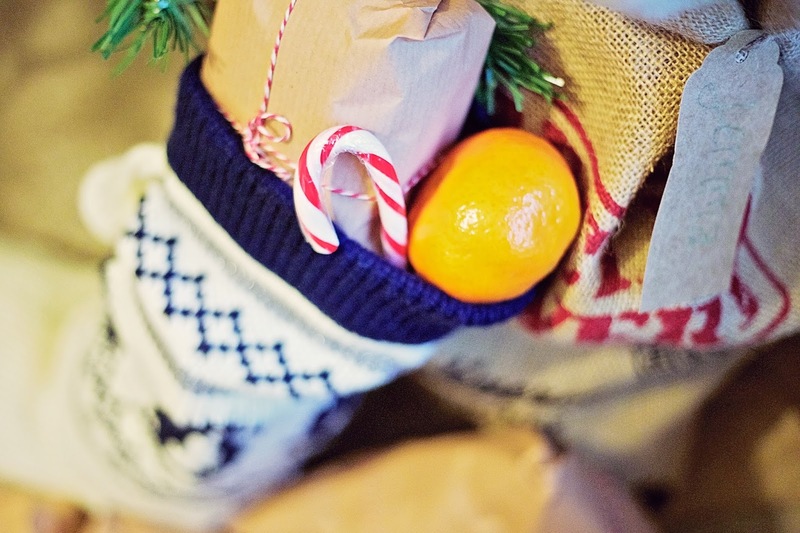 They were always filled with traditional gifts of clementines, chocolate coins, sweets and little boxes of raisons as well as a few small toys and socks. We'd also always receive an Annual or a book next to our stockings to keep us occupied! Even though we've now all grown up we still try to keep our stockings as traditional as possible. My Mum, Step-Dad and Brother will all be putting presents in stockings for each other, my Dad and his girlfriend will do theirs and of course Harry and I will be doing our best to sneak our gifts into the empty stockings without the other noticing! 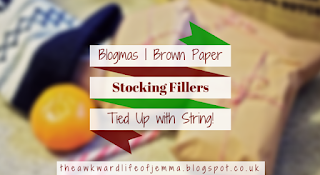 Nowadays there are lots of gifts that are marketed as 'stocking fillers' that in my opinion would be much better classed as a main present! For us, stockings are a bit of fun and the gifts should be inexpensive, edible or practical! Harry and I decided last year when we had our first 'proper' Christmas together that we'd include the traditional clementine, some sweets, pants and socks (preferably novelty ones!) and something a bit fun too. 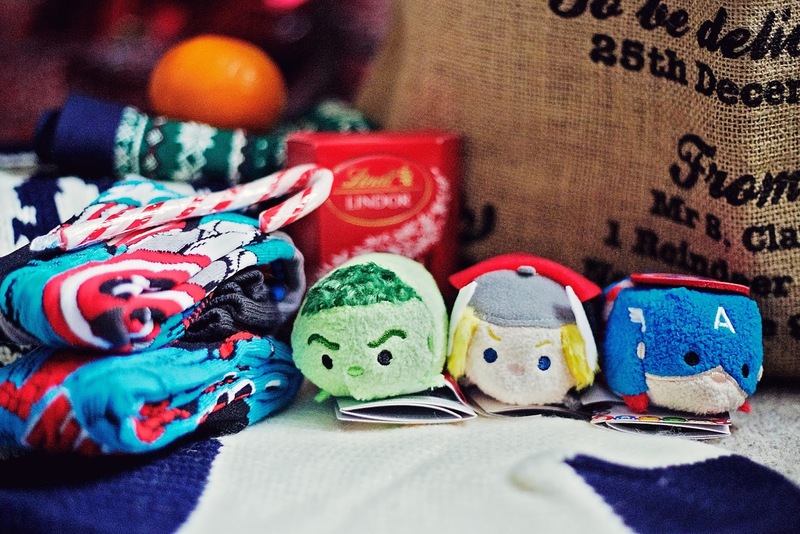 I couldn't resist ordering the new Marvel Tsum Tsums from the Disney store as I think they are the perfect stocking filler. They're only £3.00 each (I should've only bought one but I got a bit carried away!) and so small and cute! This year I've also I bought Harry some of his favourite sweets, a small box of Lindor for just £1.00, and finished off by buying some Marvel superhero socks and some festive boxers! 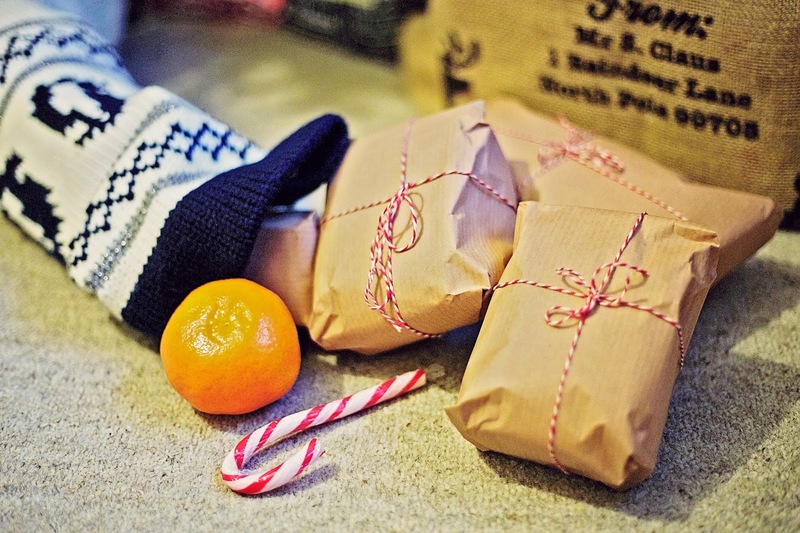 I decided to wrap the presents in brown paper which I bought in Hobbycraft and tied them up with some red and white striped twine. I wanted the stocking fillers to look different from the ones wrapped up under the tree and I thought the more traditional 'parcel' style wrapping made them look really festive, just like Father Christmas had wrapped them himself! I think the presents look so adorable poking out of the top of the stocking! Our stockings will be the first thing that Harry and I open on Christmas morning even before we've had breakfast (who can eat when there are presents to be had?!). We'll each hang our stockings at the end of the bed on Christmas Eve and then I will try and contain my excitement and get some sleep before waking up on Christmas Day to see what they have been filled with. With just ONE week to go now, I can't wait to see what will be inside!